Follow me on Facebook,Pinterest, Instagram & Twitter. Sign up on my EMAIL to find out about my promotions first. * this can be personalized with something else instead of Astrology sign symbols. ♥7/8" Disc washer Sterling Silver disc stamped with personalized Secret message, disc then cupped. 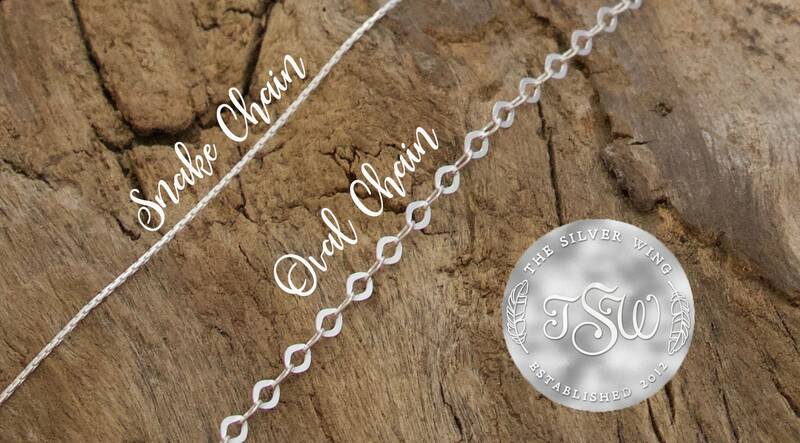 ♥ All Necklaces Include a Sterling Silver Chain. The Silver Wing jewelry is Handmade, Hand stamped .925 Sterling silver, Sterling silver is hypoallergenic, it does not contain nickel or lead. I do not use plated or filled silver, only solid sterling silver. **** Please Provide Name(s) or Phrase at check out. PLEASE NOTE: This hand-stamped pendant necklace can be personalized in anyway you wish. You could just add family members or children's names, or any phrase you choose as long as you under the amount of characters allowed for this design. Handmade Jewelry is Designed and created from raw metal. Personalization is then hand stamped, letter by letter, one at a time. Letters are then Oxidized, then each piece goes through a unique metal smithing process to create a flawless finish. Every piece is finished like Fine Jewelry which makes The Silver Wing very Unique. 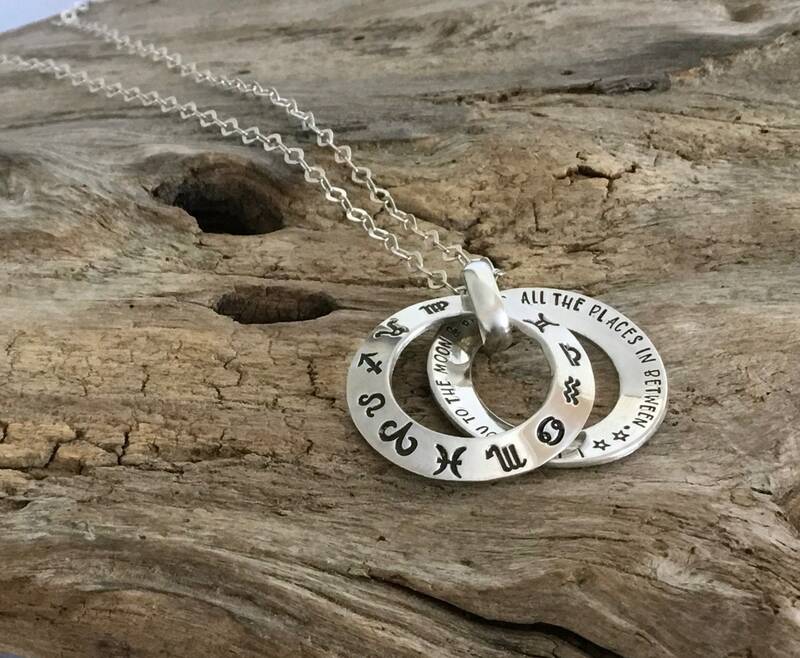 When choosing handmade jewelry keep in mind sometimes the letters may not seem completely aligned or straight and may have slight variations in depth, alignment, and spacing this is part of the nature of the piece and it’s what it makes them unique & special. © 2012 - 2018 TheSilverWing. All creations, designs, handmade charms, photos, and item descriptions & title verbiage are copyright protected and property of The Silver Wing. *Photos may not be used without permission of the Designer/Artist/Creator of The Silver Wing. Need Help??? Send me your email and I can assist. Need a phrase?? I can send a list of phrase suggestions to fit any situation, just message me your email. ***Beautiful necklace to memorialize my son. It is beautiful! Will order from The Silver Wing many more times! ***We received immediate service and love the final product! Thanks very much! 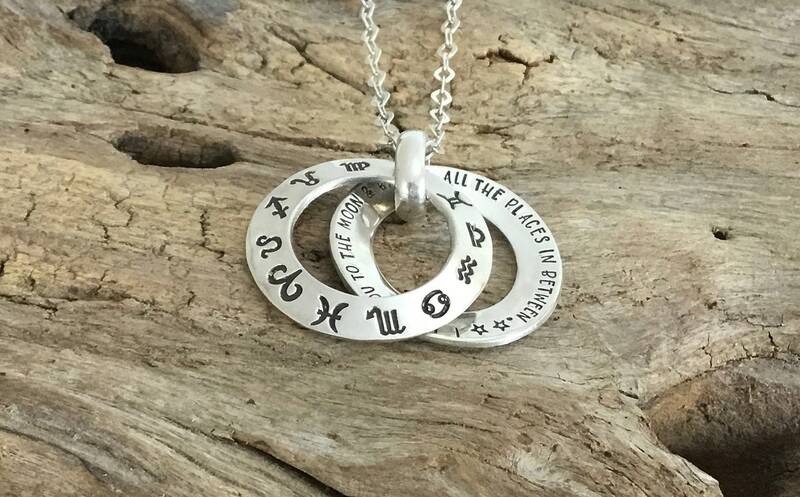 ***This necklace is BEAUTIFUL and made the perfect gift for a special occasion. All of the parts are top quality (including a very nice chain), and it came exactly as ordered. The seller was quick to provide helpful replies to a few questions I had during the design process, and it shipped out very shortly after the order was placed. I am very pleased with my purchase and would highly recommend this designer/seller. >>> The Silver Wing - creating unique hand-stamped jewelry designs so you can give a meaningful gift to your loved ones and friends. Every piece is finished like Fine Jewelry which makes The Silver Wing very Unique.♥ All of the Hand stamped jewelry at The Silver Wing can be personalized in anyway you wish. You could just add family members or children's names, or any phrase you choose as long as you under the amount of characters allowed for the design. Changes to design must be pre-approved and cost may be effected, Any change to design components is considered a custom request and you must request a custom order. 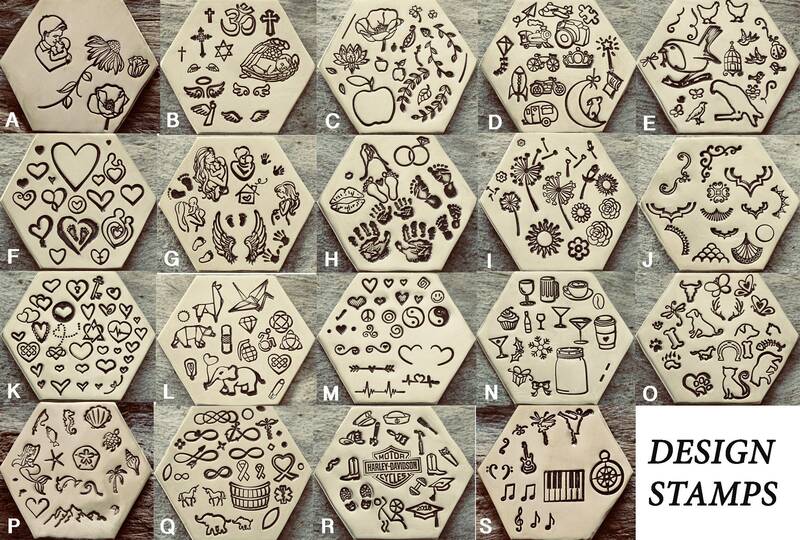 If this is not requested in advance through convos or custom listing request, listing will be made as layout was designed.♥DESIGN STAMPS♥ Please be aware that if you select a design stamp for personalization, depending on size of stamp,the characters allowed for that design can be reduced by as low as 3 characters and up to 50 characters. If the stamp is bigger than a name seperator ( from section A) then you will need pre-approval for these stamps prior to placing order. 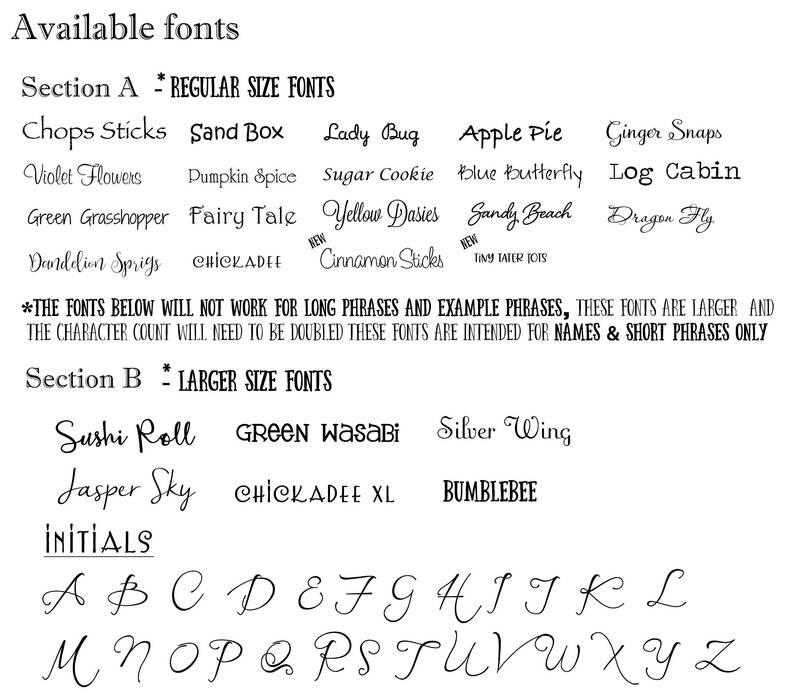 If pre-approval has not been arranged the I will try to fit what you are requesting if characters allow enough room for design stamp you have selected, but if there is not enough space I will leave this area blank. This is why pre-approval is a must.♥Standard shipping does not have tracking, it is shipped small package air. If you would like your order tracked this option is available at check out for an extra fee. Shipping time for small package 5-8 business days, the same as tracked. I do also offer a low rate 1-2 day shipping for $25 with fed ex. 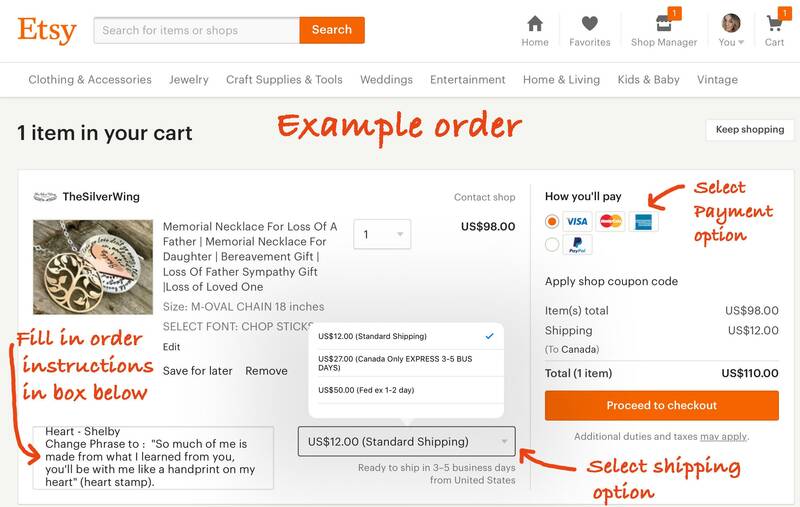 How do personalize an order? Add instructions? 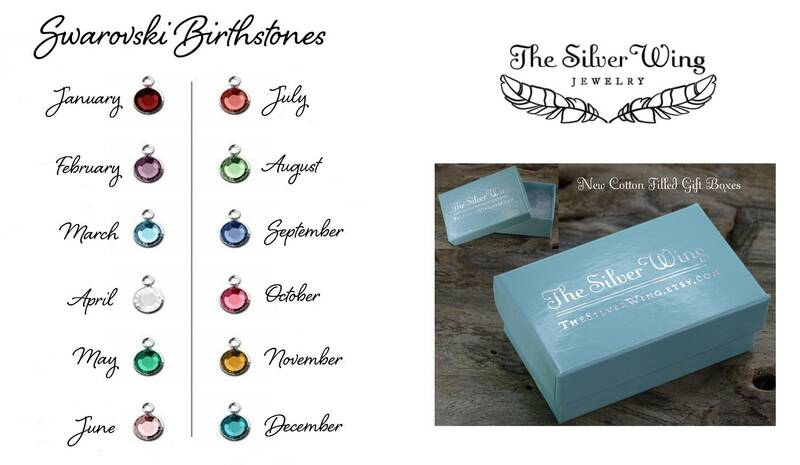 Add birthstones? When placing an order you will need to provide notes if your item needs to be personalized. > while in your cart find the mid section of your screen, look in lower left area for "note to seller" , here is where you will leave instructions for your order. Sterling silver does tarnish, a darkening that occurs when sterling silver reacts with gases in the air or with other substances that it comes in contact with. It is a simple fact of nature. Other sources of tarnish include hair spray, lotion, perfume, other beauty products and even natural body oils. It’s best to put jewelry on last after using these products. Over time sterling silver develops a mellow patina which often results in an appreciated antique look. Often a black oxidation builds up in the fine details which give your jewelry piece a beautiful and unique look. Sterling silver when worn often with have minimal cleaning required, making it very easy to care for and lots of fun to wear. Interestingly, wearing your jewelry is a good way to help keep it in good condition as long as you take some measure of care while wearing your jewelry. But, your sterling silver jewelry does need to be cleaned from time to time. This is where it is important to understand your piece of jewelry. 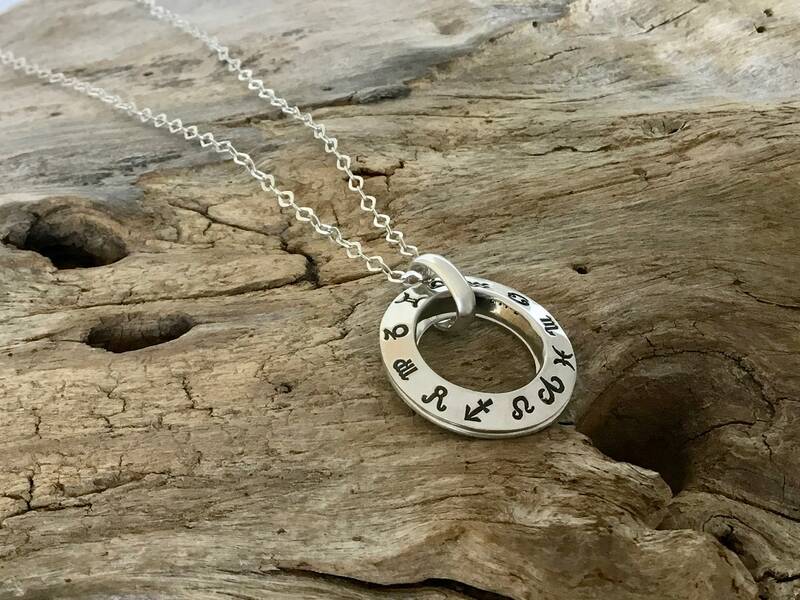 Personalized hand stamped jewelry has been treated with a patina to antique (oxidize) the piece in order to enhance the lettering and designs stamped on the piece. For this reason, it is very important not to use silver cleaners, baking soda, vinegar, toothpaste or any strong cleaner. They will remove the antiqued finish along with the tarnish. However, sterling silver chains, that haven’t been oxidized, can be dipped in jewelry cleaning solution to remove tarnish. There are two ways to remove tarnish from your hand stamped jewelry without damaging the antiquing finish. 2) This is the one I use ...Pro-polish polishing pads are a great way to keep your hand stamped jewelry clean and shinning. I love them! These pre-treated 2 inch squares are great for polishing or removing oxidation. Pads are tight-bond cellular foam with permanently bonded micro-abrasives. You can use these pads until they are dark grey on both sides and then it is time to toss it and use a new one. Make sure the piece you are polishing is completely dry. If you get these pads wet, they get gooey and will not work properly. ♥ I am located in Kelowna, BC which allows me to use an US address when using a service for shipping called Chitchat express. When I create a shipping label Etsy sends out a shipping notification letter. Your order is actually shipped out the following business day. Please note I work nights only, so your order goes out in the evening. Since I use a shipping service, tracking is delayed until My packages are driven over the Canadian border and mailed from Blaine, Washington with USPS.